Do you want to be part of a huge street artwork to promote diversity? 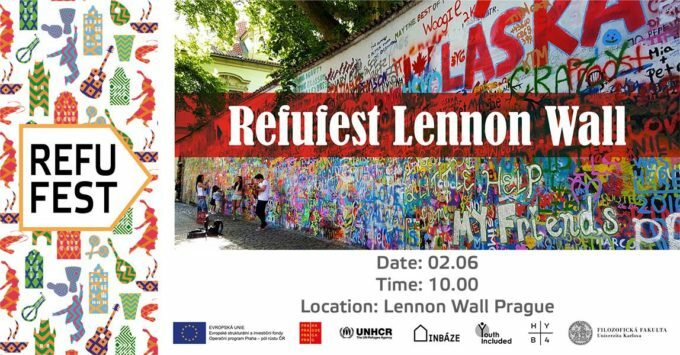 Join us to create a beautiful multicultural mural on the John Lennon Wall! All you have to do is bring or send us an image of a symbol that represents your culture! We will have the spray paints ready and together we will create a memorable street art experience. The mural will be part of a guerilla promotion initiative of RefuFest, a wonderful festival to celebrate diversity in Prague.